Made with real fox tail. Colors and sizes may vary. Colors and sizes may vary. Made with real fox tail. Colors range from black, browns and off-white. 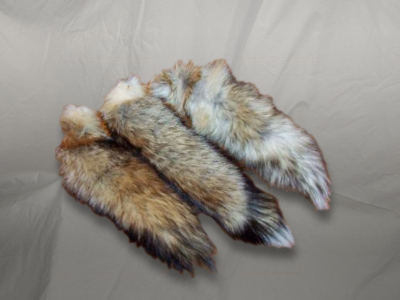 You have the option of selecting a preference for the tail's dominate color below, however due to a variety of factors there is no guarantee you will receive the color you prefer.